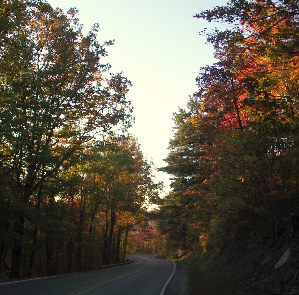 Here are some fall pictures from Cumberland Gap National Park. Since purchasing my new FujiFilm camera I've been hard at work trying out all of the settings. 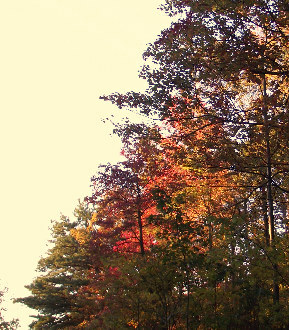 What better way than to head to the nearest park and try shooting some fall pictures? 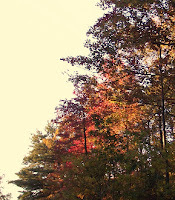 Not only was it fun but the camera seemed to capture the fall foliage colors nicely. Autumn is always an amazing time to see the leaves here in East Tennessee. As you can see from the fall pictures, this year is no exception. These fall pictures from Cumberland Gap were taken earlier this month. I'll be posting photos of other areas as soon as the opportunity arises. Part of the beauty of living here is being able to find something interesting to photograph almost every day. That's part of the fun that I hope never to take for granted. When you are taking fall pictures it's important to get the light just right. If you want people to think that you are standing in a cave take your photos just after the sun sets. Some people like taking the photos in bright sunshine. If I can, I like to photograph the leaves just before sunset. The colors of the evening sky sometimes give an extra glow to the leaves. That's how I took the fall pictures from the Cumberland Gap that you see on this page. There's a little extra glow in the sky that helps make the colors pop out even more. We had storms in our area today. As soon as the weather clears I will probably head out to take some more fall pictures. Deciding to do that is easy. Deciding where to go is another blog post entirely. I think these photos turned out pretty well. What do you think?